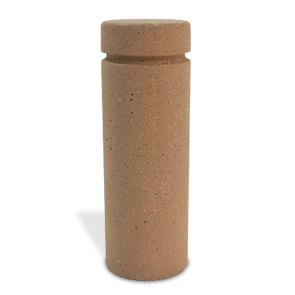 With goals of traffic control and perimeter protection concrete bollards offer a sturdy solution. Uncompromising design accomplishes purpose with a landscape appeal, these bollards are effective in standalone and collective deployments. Constructed with a trusted steel rebar reinforced concrete construction this bollard is capable of withstanding the toughest conditions and environments. Compliant with ASTM and available in a variety of standard and premium finishes to complement any facility.